It’s a New Year (Happy New Year!) 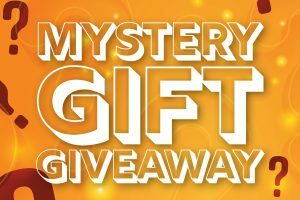 and we are desperate to celebrate so we’ve chosen to do it in a way only we know; We are giving away a Mystery Gift!How do you enter you ask? All you need to do is leave a comment below telling us why you should win! Entry Method #1 The Giveaway Landing Page: (On this page)– Your entry will be confirmed by simply commenting in the comments box below. – Follow the instructions on our Facebook post. – Follow the Instructions on our Instagram post. – Follow the Instructions on the Tweet. Competition closes Monday 28th January. The winner will be contacted via E-Mail or the relevant social media channel. Good Luck Everyone and be sure to tell your friends! – oh and Happy New Year from all at www.carfinancedeals.com ! !